Do you ever wake up on some days and find yourself in the middle of a really bad acne breakout? From the moment I was a teenager, I've constantly had an uphill battle with acne. It runs in my family and I wound up inheriting the lucky genes. To be honest, as much as I tried to play it off growing up, the truth is that acne really took a toll on my self esteem. For the most part, I've learned how to deal with acne and no longer let it control my life. During this point in the semester, things are kicked into overdrive. Personally, I get tons of acne when I'm stressed out about school and one morning I woke up with zits all over my forehead. 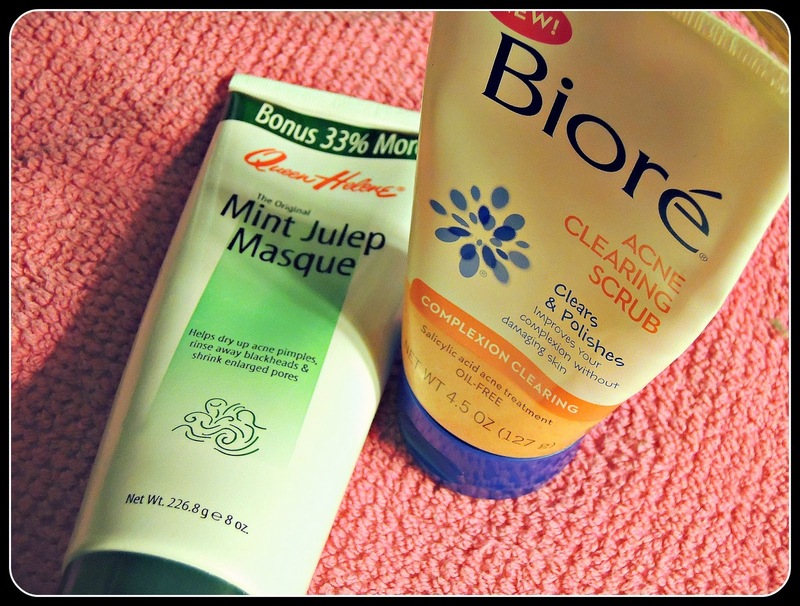 Thankfully, I've used my two secret weapons to successfully combat this issue - meet Queen Helene's Mint Julep Masque and Bioré Acne Clearing Scrub. 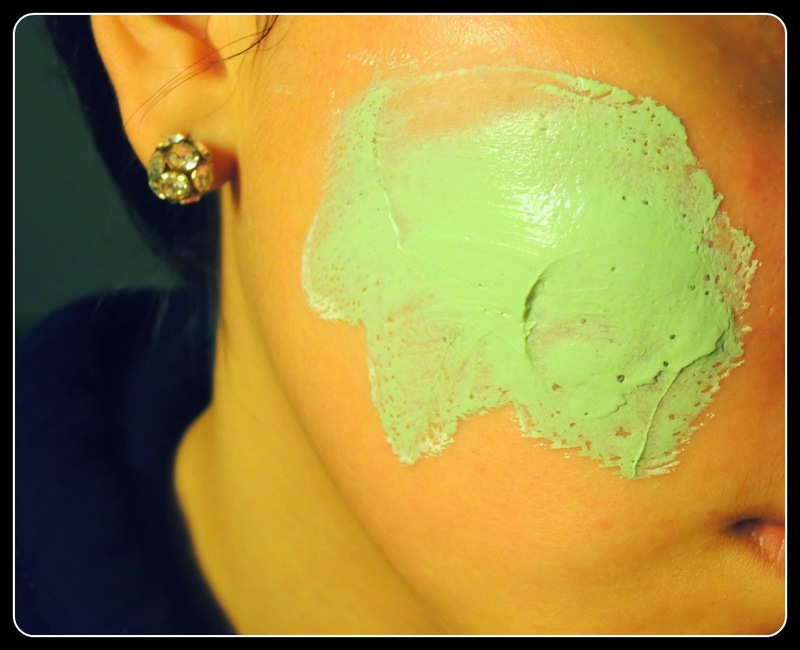 Basically, it's a green mask that you apply for 15 to 30 minutes (but no more than that or it'll seriously dry up your skin) and it cleans your pores deep down to get rid of pimples and blackheads. The formula also works to remove excess oil to prevent future breakouts. If you have combination skin like moi, you seriously need this stuff in your life! Like many Latinas, I have a really oily t-zone and chin, so this really helps to create some type of balance and has an instant mattifying effect. With winter on its way, I recommend only using this once every two weeks because it can strip your skin of its natural moisture if used too much. In order to compensate, your skin will overproduce oil and that's no fun. During the summer months, I use this more frequently on a weekly basis since the oil production in my face increases. After a long day, there's no better way to unwind and pamper yourself than with an awesome clay mask. Am I right, chicas? 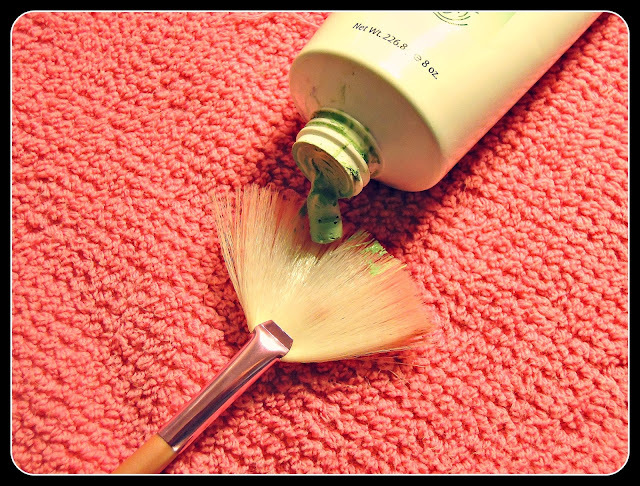 *Belleza Tip* For an even application, use a fan brush. It will get the most product possible on your face without wasting it. For the most part, this mask feels great as it hardens. However, once you wipe it off (with a washcloth or hands) your face will feel a little tight. That's nothing that a little moisturizer can fix. I'll be doing another post on my favorite moisturizer, so stay tuned for that! Anywho, I also want to let you guys know that this product contains sulfur which I know some people may have allergies to. If you have extremely sensitive skin or a sulfur allergy, stay away because it may be too harsh. Other than that, I seriously love this product and consider it a skincare essential for breakout emergencies. By the way, did I mention the thrifty price? Of course I couldn't keep my hands off of this when I scored it at Walmart for around $3. You can find it on Walgreens online for $3.79 by clicking here. 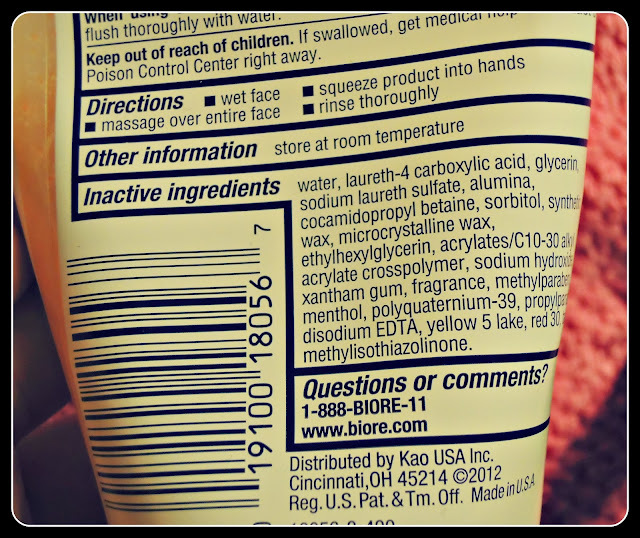 Of course no skin care review would be complete without mentioning a great scrub, like this one from Bioré! This Complexion and Acne Clearing scrub has become my absolute favorite exfoliator. This product uses spherical microbeads to unclog stubborn pores. It has a slight mandarin and mint-y scent to it, which is perfect for me when I'm struggling to wake up on lazy mornings, haha! Since this only contains about 1% salicylic acid (a key ingredient in treating acne) I think that this product is suitable for sensitive skin. From my personal experience, since it's not that powerful it won't instantaneously clear up major pimples that you have. This is more useful if you're looking for a product to prevent acne, which it does. It's gentle enough where you could use it everyday if you really wanted to, but I prefer using it every other day just to give my skin a break. 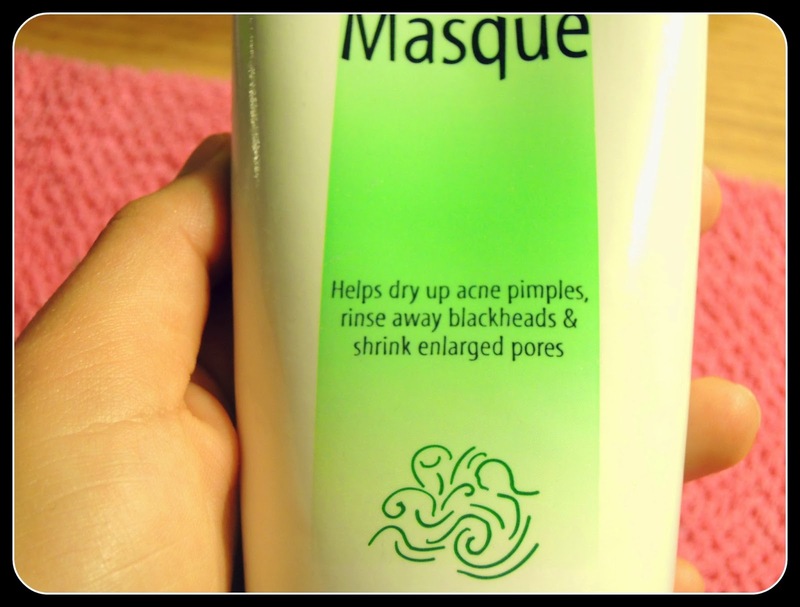 I love when I find products like this that don't give your face a feeling of tightness. I will say that it does give you a tingly sensation while you have it on, which isn't necessarily a bad thing. Another major plus for me is that a little goes a long way with this product. 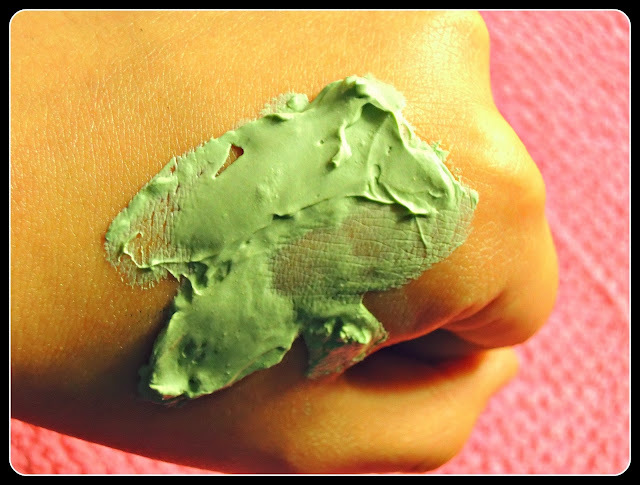 I used a pea sized amount on my hand and spread it around a bit, which is enough for your face. I've had this since July and I'm only halfway through with it. Trust me, you get your money's worth. 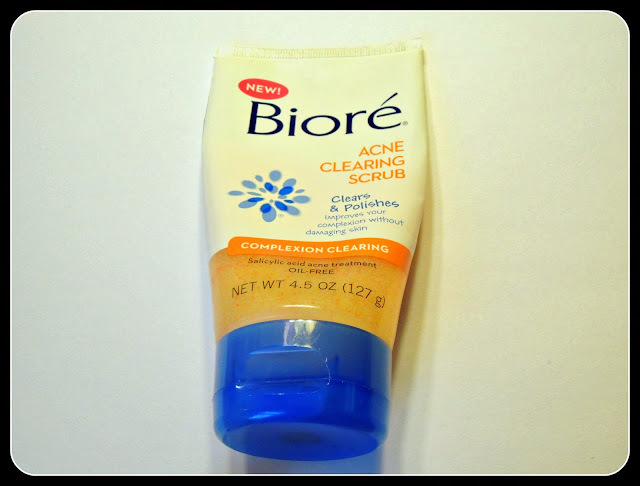 Again, Bioré brings us an affordable skin care staple that won't break the bank. You can find this in drugstores or purchase it here on Amazon for $5.49. I hope this review helps any of you that may have skincare issues like me. I can honestly say that since I started using these products, not only have I noticed a difference in my skin's appearance, others have too. I get compliments on how smooth and soft my skin looks and I honestly believe it's because I've adopted a consistent skincare routine. What are your go-to facial cleansing products? Sound off below in the comments and let me know if you've ever tried any of these products before and what your experience has been. 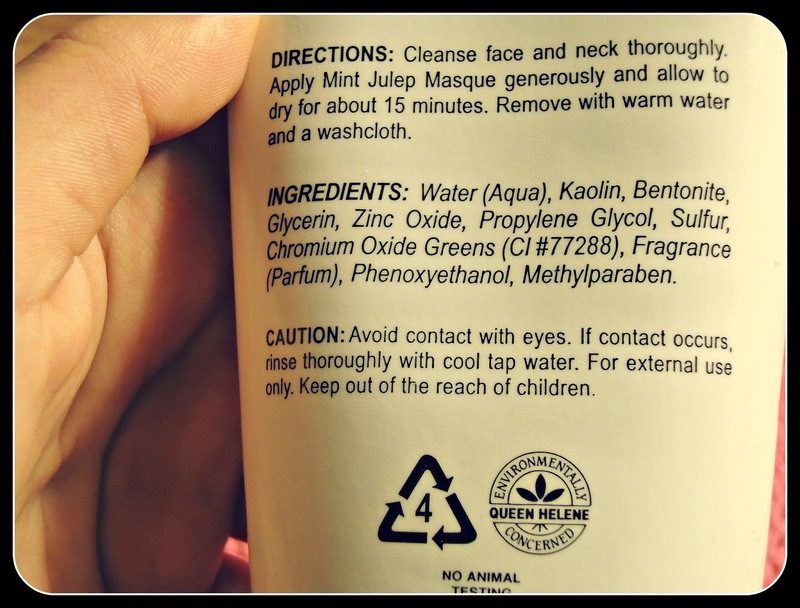 *Disclosure* The Queen Helen Mint Julep Masque was purchased by me for review purposes. 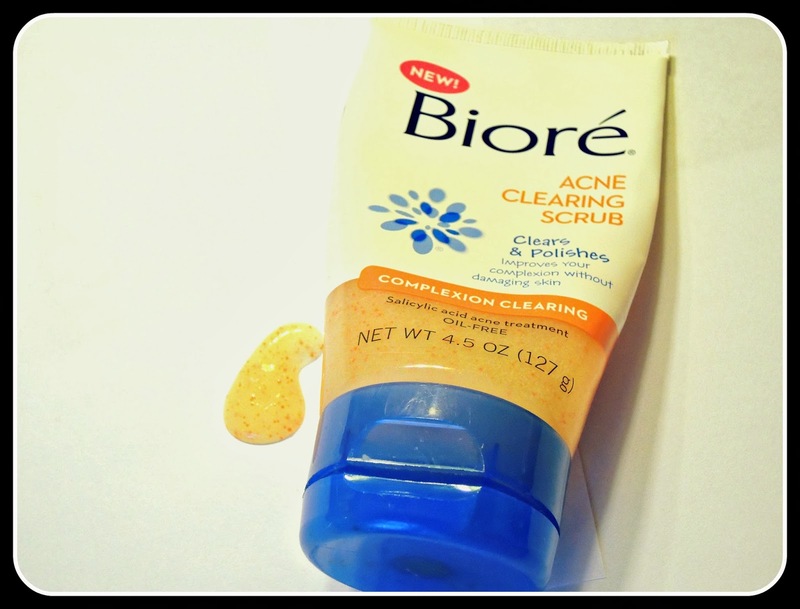 The Bioré Acne Clearing Scrub was given to me as a gift. This does not compromise the authenticity and honesty of this review. Me encanta la crema queen helene! ¡Sí estoy de acuerdo contigo, es mi favorito! ¿Haz utilizado otras cremas similares a Queen Helene? By any chance will you do any reviews on the best moisturizing face creams? Would love to see and read your reviews. Thanks for stopping by and checking out the post :) And yes, I will be doing a review on my favorite moisturizer within the next two weeks so please stay tuned for that. With winter coming, a good moisturizer can be your best friend, so I can't wait to share my picks with you! I love the mint julep masque. It smells goood! I also use it kind of like a spot treatment when I see a really beastly one about to pop up lol.